This post was sponsored by Amazon Handmade as part of an Influencer Activation for Influence Central and all opinions expressed in my post are my own. 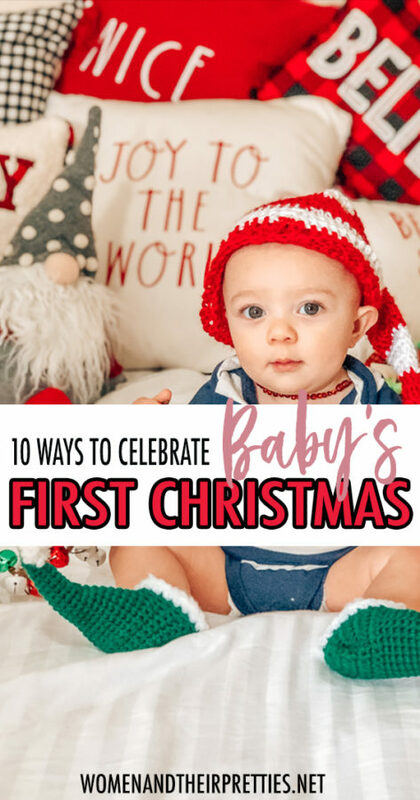 Are you looking for fun ways to celebrate baby’s first Christmas? 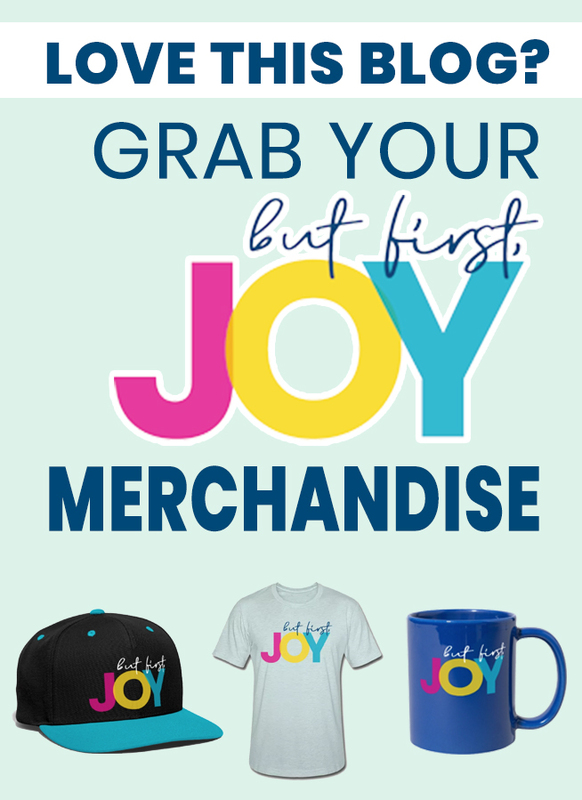 Or maybe you’re looking for gifts for baby? 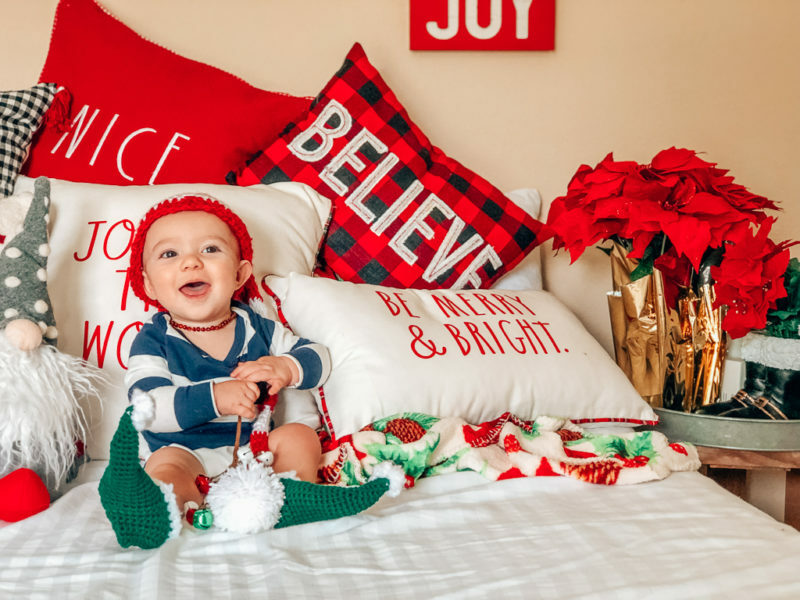 This is my baby boy’s first Christmas and I’ve come up with some fun ways to celebrate with him this year! This is a year full of milestones. 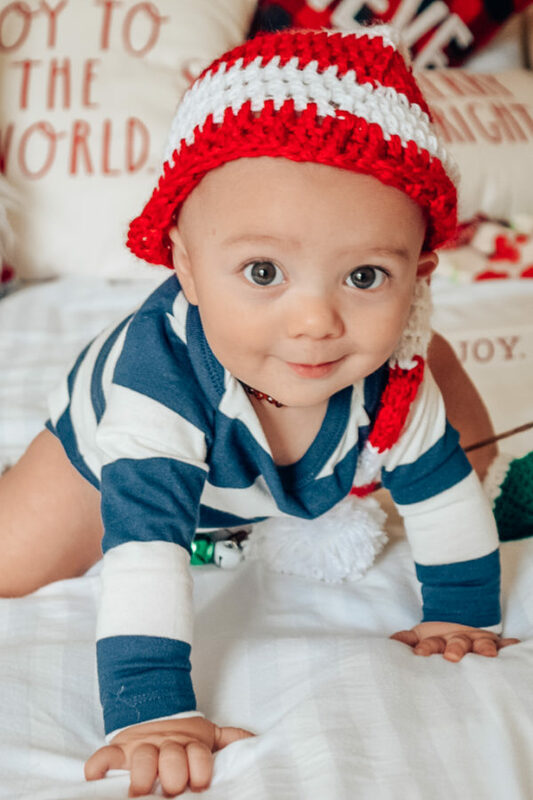 At 10 months old, my baby boy will be celebrating his first Christmas. This is such an exciting time in our lives! If you’re a new mom, you’re definitely feeling the exact same way! 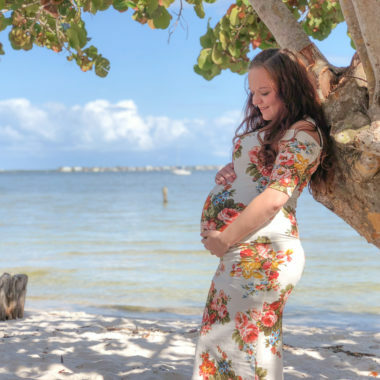 Even experienced mothers remember their baby’s first holidays. 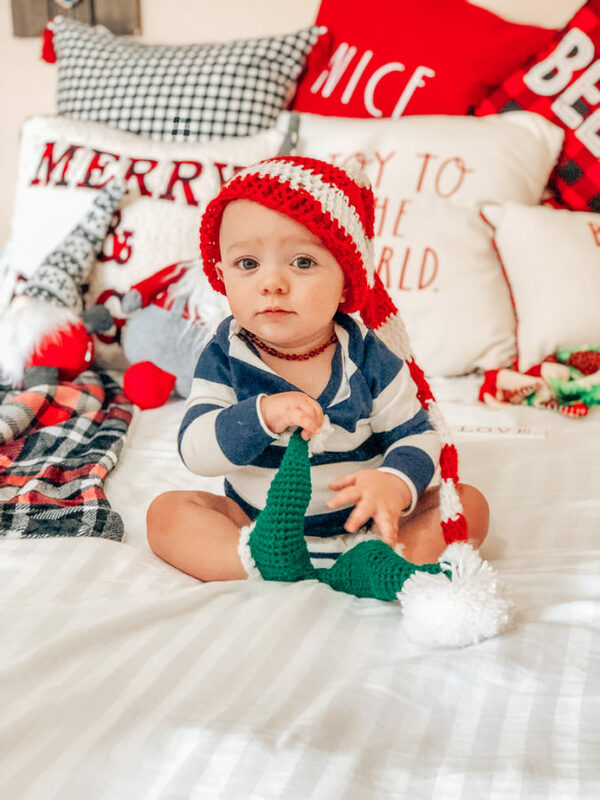 I want all of his firsts to be special for our entire family so I’m squeezing in as much as I can to celebrate baby’s first Christmas! He may not remember these days but I certainly will. 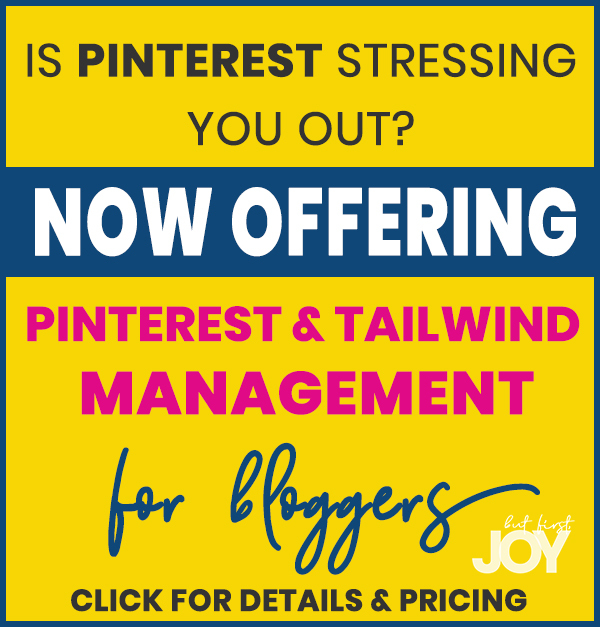 If you want your bundle of joy to live their very best life this Christmas, then I’ve got some fun ideas for you! 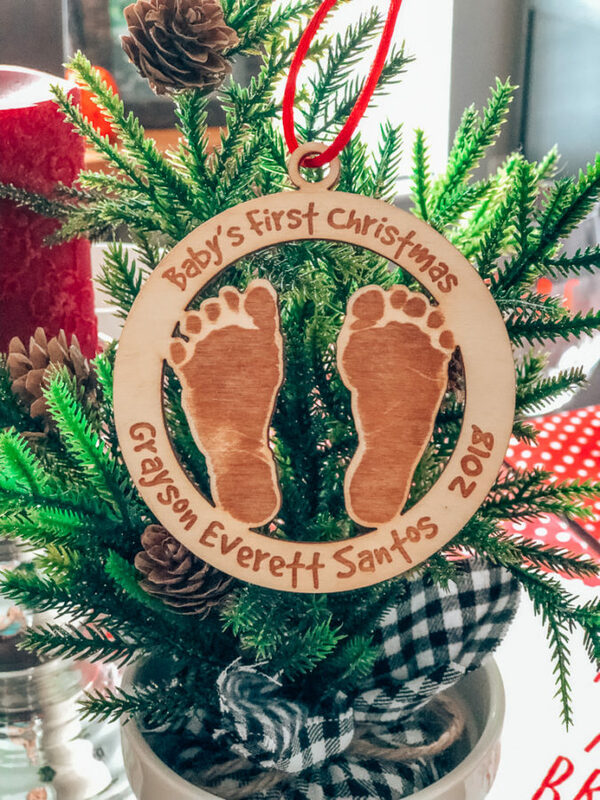 When my son was born we purchased a clay ornament kit for our baby’s handprint. 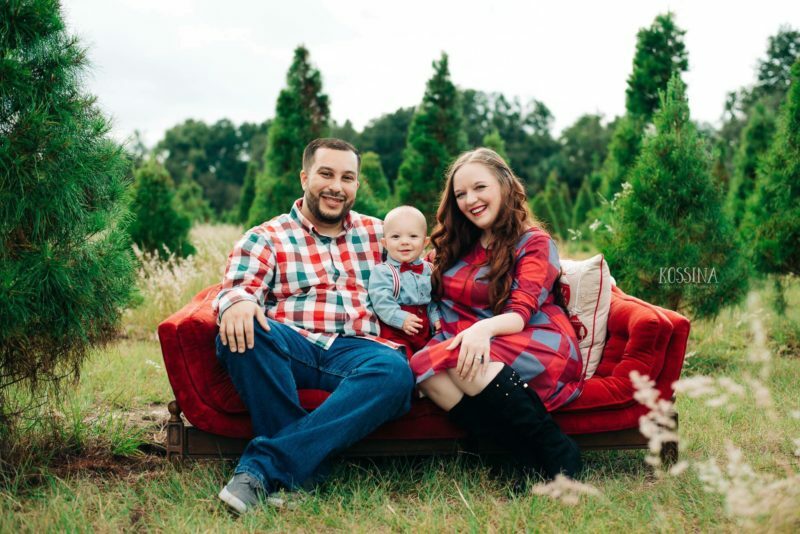 We figured this was a fun way for us to look back on baby’s first Christmas. One day it will be hard to believe his hands were this small. You can wait until Christmas to press baby’s hand or do it when baby is born. Just be sure to remember that the younger babies are, the harder it is to get them to spread those fingers out. If you want to skip the DIY, artsy stuff but still want something to hang on your tree, then you should visit Amazon Handmade where you can find unique, handmade gifts from artists all over the country. Many gifts can be personalized to put a special touch into your gifting this year. Amazon Handmade had hundreds of handmade Christmas tree ornaments, with a ton of Baby’s First Christmas ornaments to choose from! I picked one that is made from wood and that offered the option to customize. I am so impressed by the outcome! This ornament will be in our family forever. We hope to pass it down to our son when he builds a family of his own some day. Another fun way to celebrate baby’s first Christmas is with an Advent Calendar. While baby’s are too young to fully understand the concept of a Christmas Countdown, you can use this as a learning tool. Put fun baby-friendly snacks or infant-safe toys in an advent calendar and start teaching your little one how to count. It’s never too early to teach. Even if you think they aren’t understanding, they are definitely listening to you talk. What is Christmas without a Christmas story? My goal is to read my baby boy all the Christmas stories that I read growing up. My hope is to make this a tradition and read him the same story every Christmas Eve. Don’t tell me it’s cheesy. Nobody ever regrets matching family PJs. 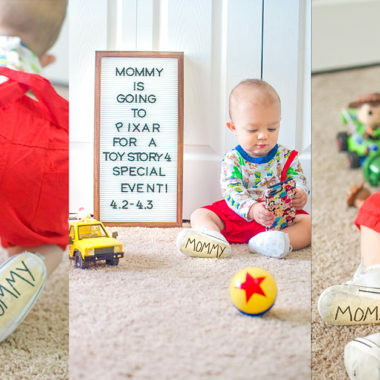 My stepdad tells me all the time that my son isn’t a toy but I ignore him and dress him up in cute little outfits because I deserve these photos. I carried him for over 9 months, birthed him with my body, and spend all my precious hours with him. Plus, I need something to embarrass him later, right? 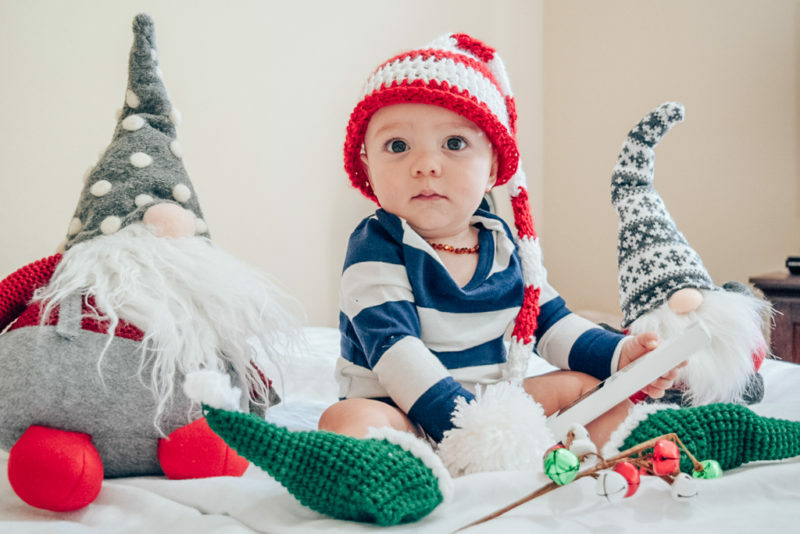 I ordered the cutest crocheted elf boots and long-tail Christmas hat from Amazon Handmade. I am thankful for the makers who offer sizes for infants and not only newborns. My baby still can wear adorable little costumes as an infant, right? Newborns aren’t the only cuties out there. These pieces arrived to my home quickly and fit my sweet boy perfectly! Don’t stop at the baby photos! Family photos are important, too. 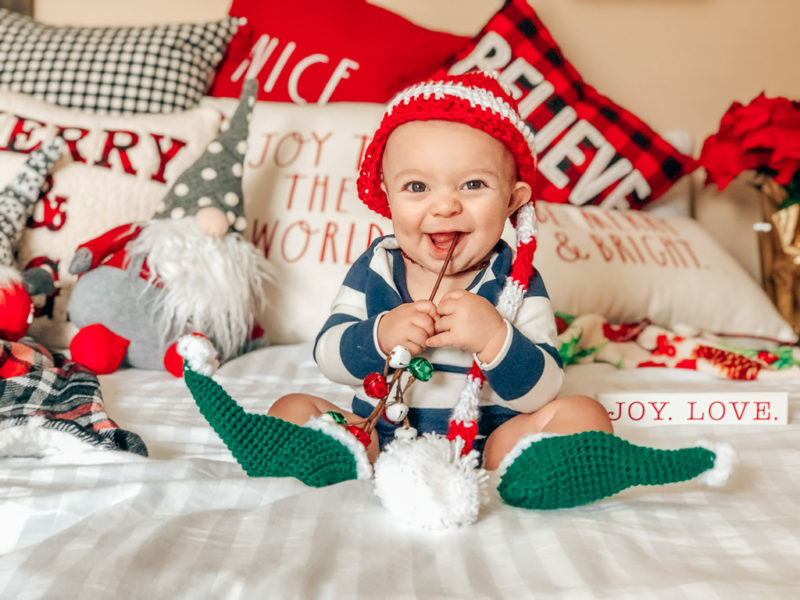 If you’re looking for Baby’s First Christmas ideas then a family photoshoot is the way to go! Wear matching outfits, do all the cliché things, and then send those photos out on cards to everyone and their nana. After all the holiday cards you’ve collected from friends & family throughout the years – you deserve this moment! Plus, it will be fun to do this every year. Make this a tradition even when the kids are out of the house. Okay, I am really looking forward to this part of Christmas. Now, this only applies to infants who aren’t on an all milk diet. If your baby is eating solids or purees then take advantage of the holiday! Give baby a plate of food this Christmas and watch them stuff their faces. I’ll be pureeing and chopping up everything we eat this year so my boy can experiment with all the new foods and flavors. 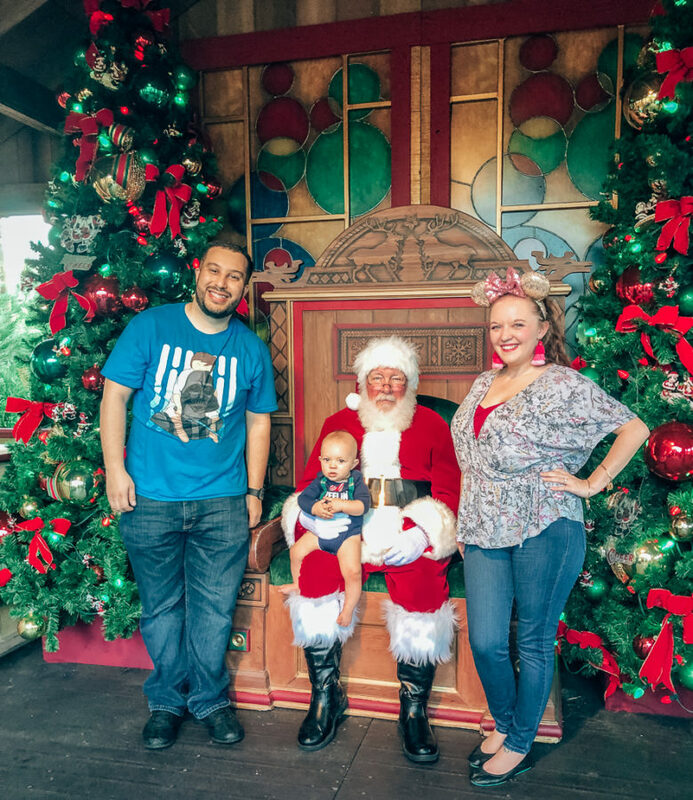 A Christmas Lights tour should definitely be on your to-do list for baby’s 1st Christmas. You’d be surprised at how mesmerized they will be by those lights! Ever since my boy opened his eyes, he couldn’t get enough of the lights. I can’t wait to take him on a tour through our town to see different holiday displays this year! Obviously. You cannot skip a visit with Santa if you have children. 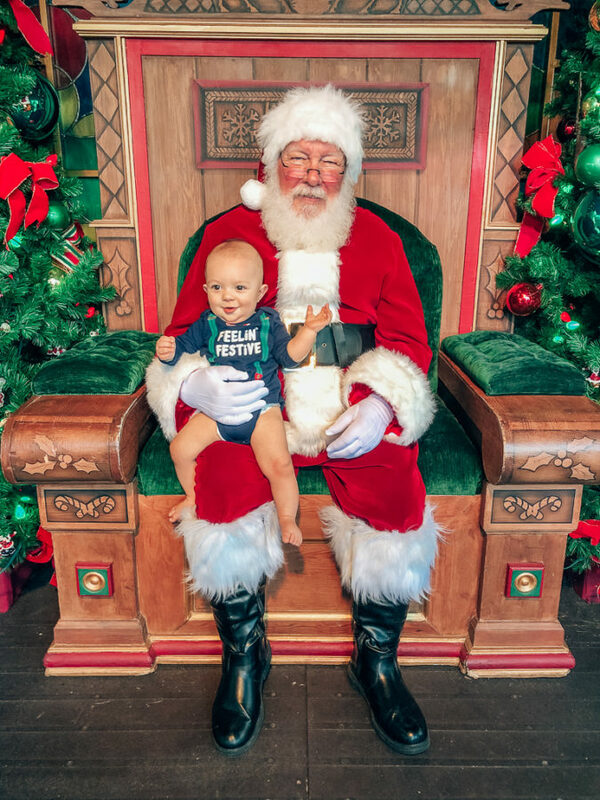 If you’re worried about germs, stand with baby & Santa for the photos. Make it a family photo. 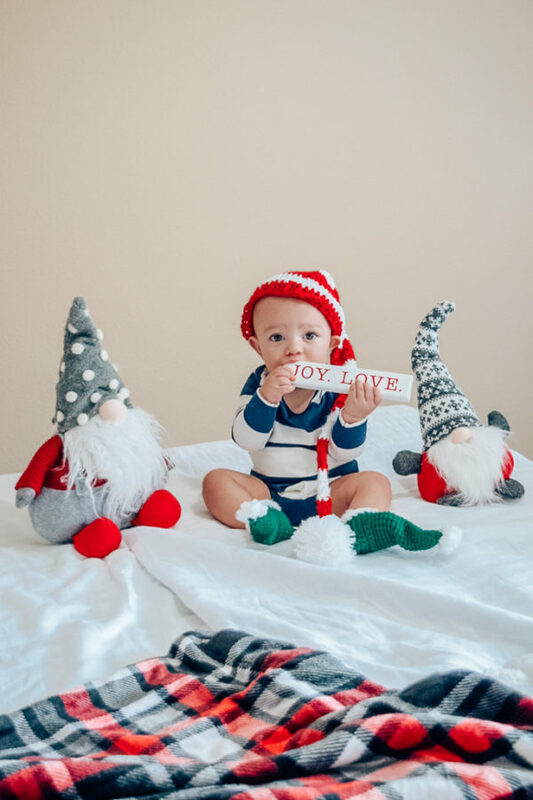 Whatever you do – DON’T SKIP THE SANTA PHOTOS! 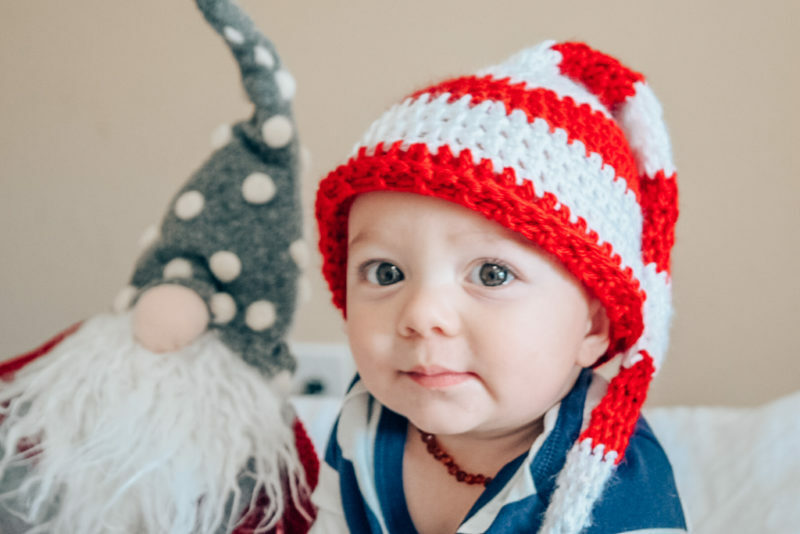 If you’re looking for more handmade gift ideas for baby’s first Christmas (or any other occasion) head to Amazon Handmade. You can even take advantage of Prime 2-day shipping for some items! You’ll find a little bit of something for everyone on your list this year and you’ll be giving back by supporting small businesses! 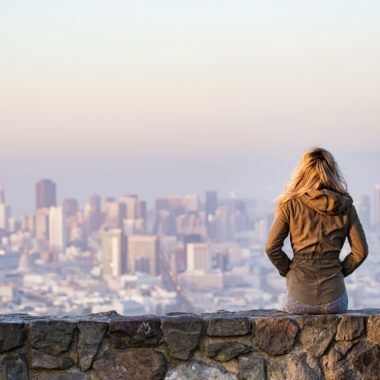 Many gifts offer the option of personalization, too! There are so many reasons to shop Amazon Handmade this holiday season but putting some thought into gift giving is my #1 reason! DEAL ALERT: From November 15th to December 31st Amazon will have certain items on promotion for Prime Members at 20% off! 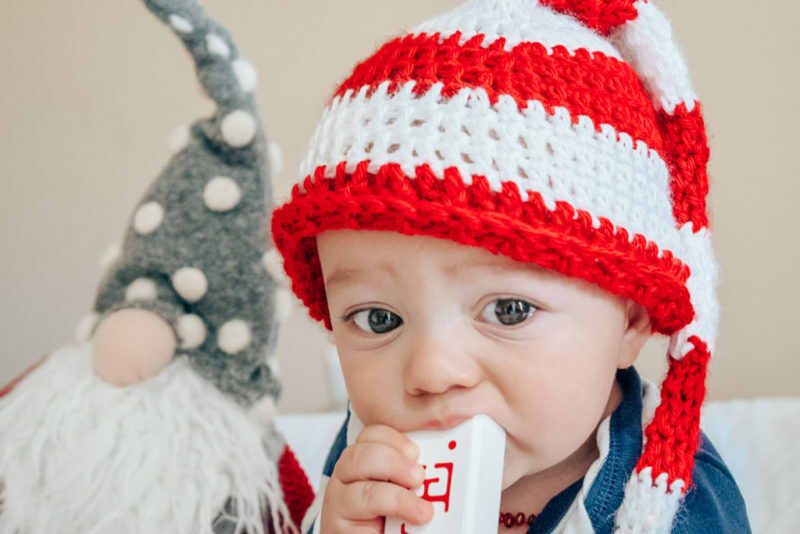 Visit Amazon Handmade today to grab the best baby gifts this holiday season! Happy Holidays to you and your family! Such a handsome little guy.